While the development might be situated on a heritage site, The Metalworks in Guelph is writing history of its own. On September 28th, the urban village of condos, townhomes and river lofts was named the high or mid-rise project of the year by the Ontario Home Builders’ Association at the 2015 Awards of Distinction. Fusion Homes also picked up awards for best use of social media and best high or mid-rise ad campaign. 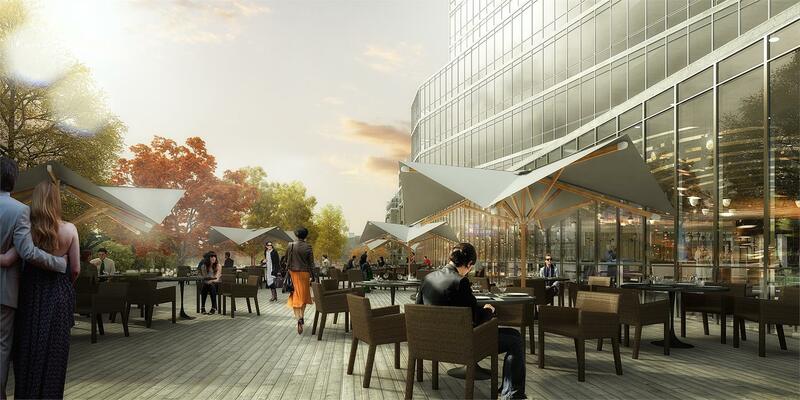 Phase one of The Metalworks is now under construction and 70 per cent of the units are sold. A selection of one bedroom, one bedroom plus den, two bedroom and two bedroom plus den condos are still available, priced from $207,900. 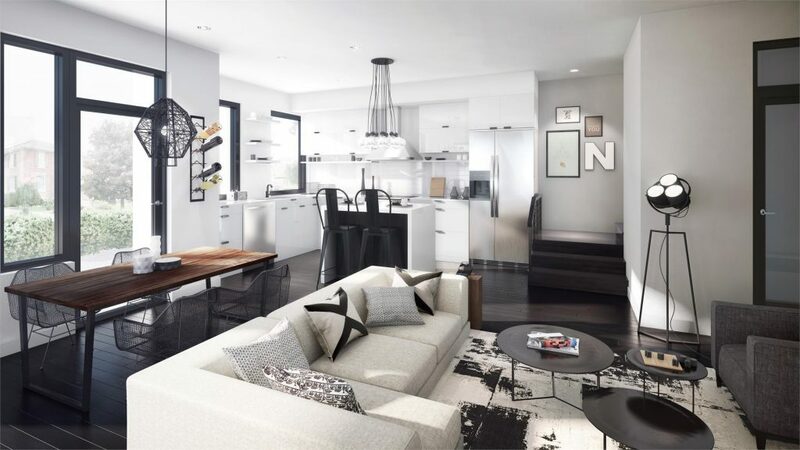 The spacious penthouses feature wraparound terraces, walk-in closets, large kitchen islands, optional fireplaces, cozy dens and ensuite bathrooms. There are five remaining river lofts with two or three bedrooms and flexible loft spaces that can be used as a library, office, playroom or an extra bedroom. These three storey homes boast open-concept kitchens with stone countertops, bar seating, designer cabinetry and stainless steel appliances. The bathrooms have a relaxing atmosphere and include double sink vanities, soaker tubs, walk-in showers and partition toilets, as per plan. The townhomes are well-suited for today’s families, featuring huge patios for entertaining, open-concept kitchens, breakfast areas, laundry rooms, walk-in closets, ample storage space and private terraces off the master bedrooms. 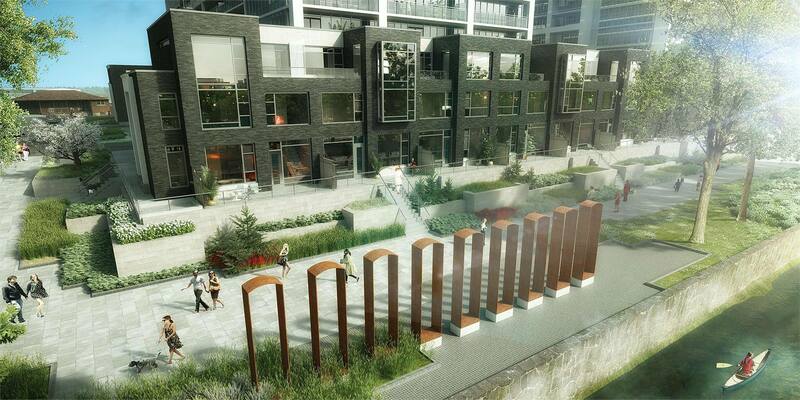 Located along the Speed River in downtown Guelph, The Metalworks will combine 600 new residences with 30,000 square feet of restaurants, cafes, galleries and shops. Residents will also be able to take advantage of the community’s extensive social and recreational amenities, including a lobby with onsite concierge, entertainment room, pet spa, state-of-the-art fitness centre, numerous courtyards and 2.5 acres of open green space. There’s also a leisurely River Walk that’s perfect for a stroll with Fluffy or sipping coffee on a park bench. To celebrate their OHBA win, Fusion Homes is giving away five front row tickets to the Guelph Storm vs. Kitchener Rangers game on October 18th. For a chance to win, like the post advertising the contest on their Facebook page. A winner will be chosen at random after the contest ends at 4pm on Wednesday, October 7th. Potential buyers are encouraged to register online or visit The Metalworks sales centre at 5 Arthur Street South, open Monday to Wednesday from 2pm to 7pm or weekends from noon to 5pm. For more information, please call 519 3629266 or email info@themetalworks.ca.